PRICING Our pricing is simple - £499 per day hire. This includes the supply of Dorset charcoal, seasonal smoking wood, hire and transport. This also includes professional chefs to cook for you! Price per dish depends on the event type and size. Contact us today to get a quote for your event. All we do ask for is a minimum event size of 40 people. 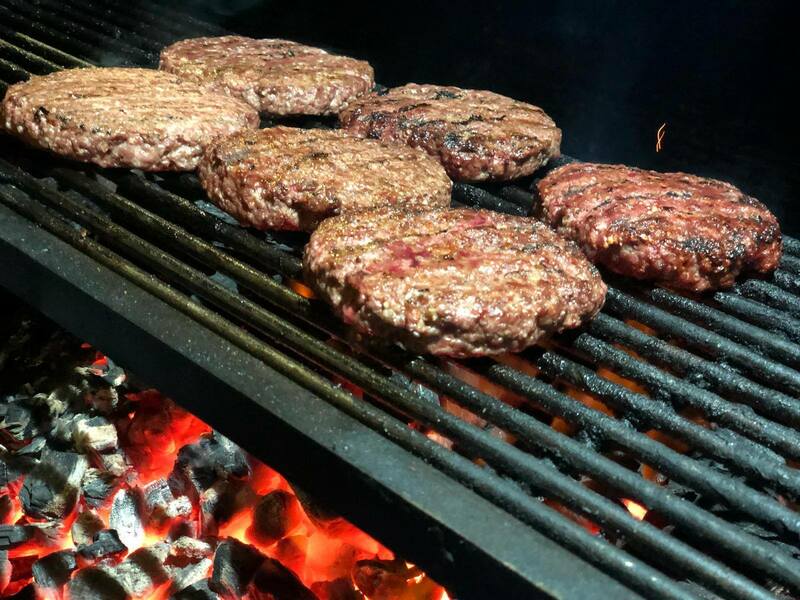 We are a fully catered BBQ service available to hire for private events such as parties, weddings and more. 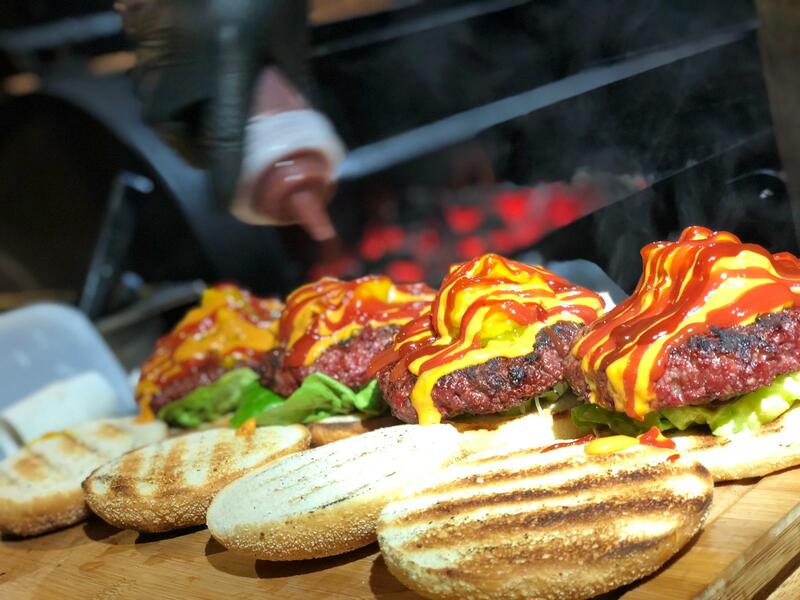 Our purpose built BBQ allows our professional chef to smoke and cook your food before your eyes, serving you a delicious BBQ meal the right way. We offer any menu you require. Fine dining through to street food and everything in between. 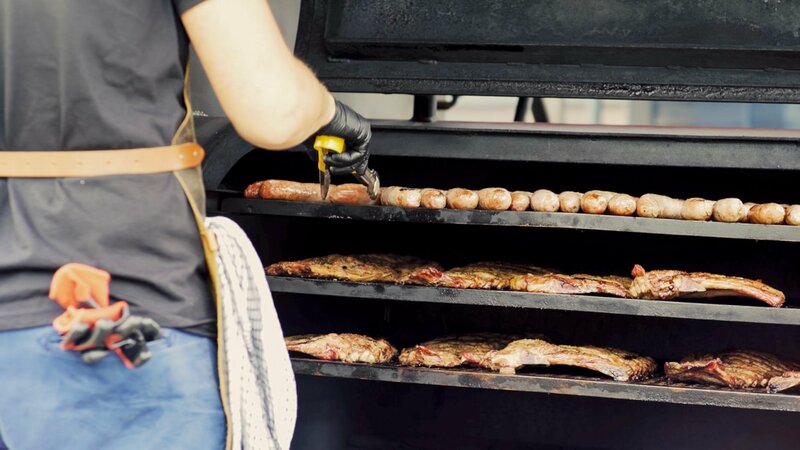 The smoking wagon is mostly for grilling, smoking, rotisserie and bbq food but we can cater and bring any kind of food on-site. Of course! Tell us exactly what you want, we can give suggestions or you can tell us what you want. We can make anything. We can cook where ever you require. Venues can be booked anywhere you require. Simply give us a call and we will sort the venue as an addition to the base price. We also cater for your own venues. 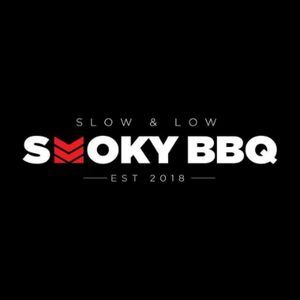 Catering for all kinds of events from festivals to weddings and everything in between. 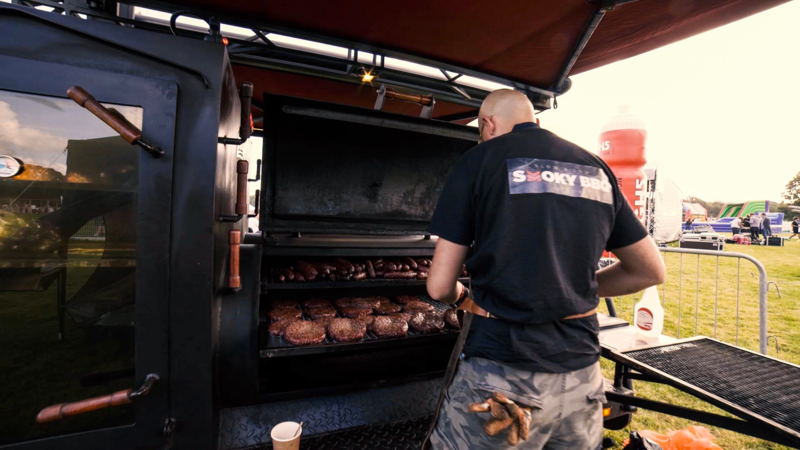 We can offer professional fine dining and we have a steam self powered smoking and bbq trailer that can process 100s of kgs of meat. We are trained and efficient. From weddings to corporate events, private parties to public events. We can attend all types of events with our fully catered service.